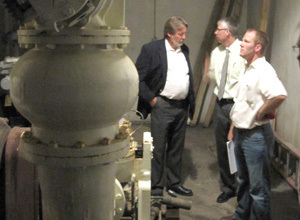 A Preliminary Engineering Report (PER) prepared by AE2S recommended modifications to the Moorhead Public Service’s raw water intake and pump station to address challenges experienced during flood events. 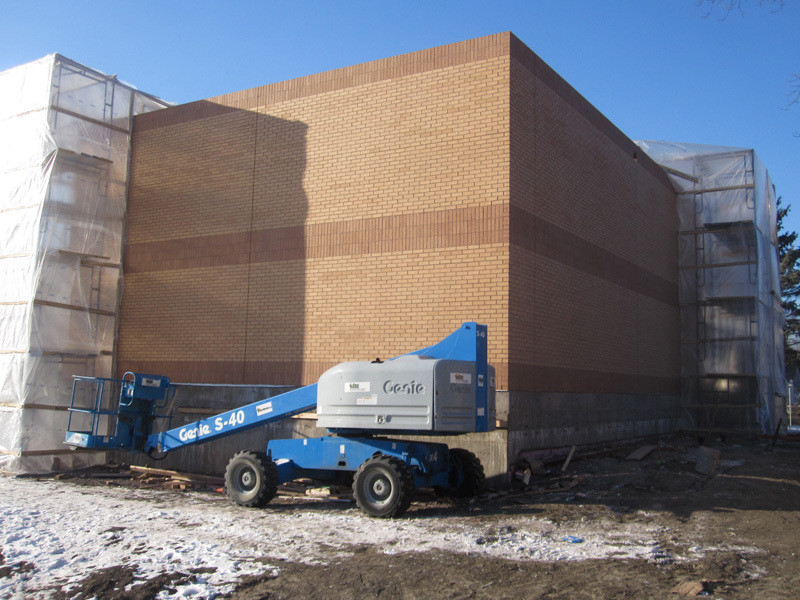 Prior to AE2S’s effort on the PER, Moorhead Public Service had already spent significant time and money on a combination of temporary and permanent flood protection efforts. 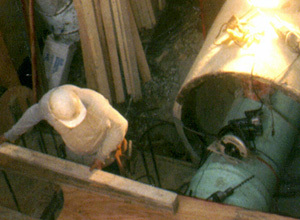 Even with these efforts, Moorhead Public Service personnel were often faced with a dangerous work environment when they entered the existing pump station during a flood event. 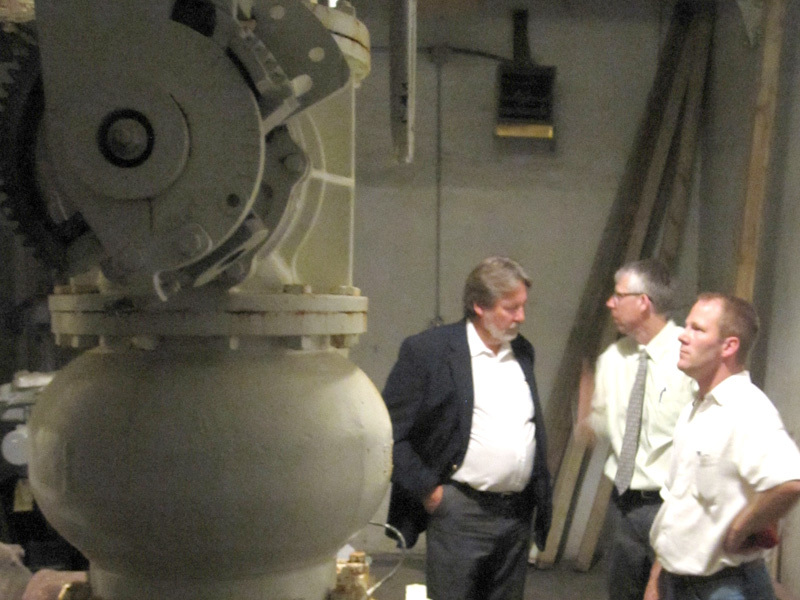 Based on the PER, the Federal Emergency Management Agency (FEMA) approved a $2.7 million flood mitigation grant for the construction of a new pump station above the 500 year flood plain. 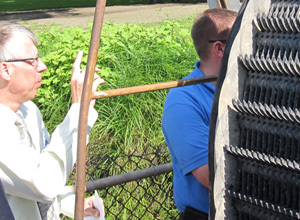 The intake portion of the project consisted of modifying the intake screen to a passive bar screen, with a zebra mussel-resistant T-screen. 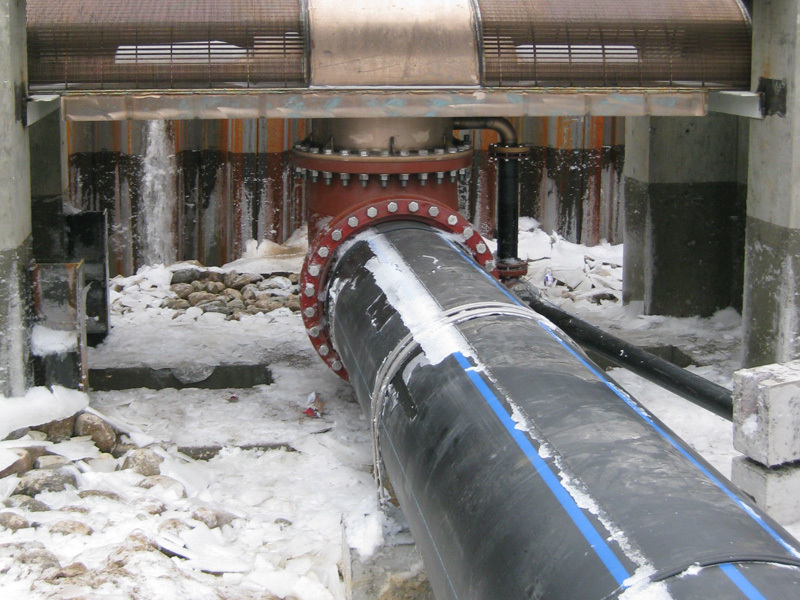 The intake was moved to approximately mid-channel of the Red River and supported in a concrete protection structure. 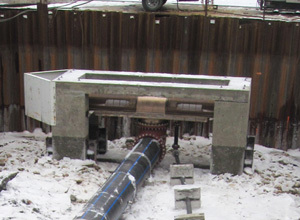 The concrete protection structure was cast on-site outside the channel and then placed on steel piling installed in the river channel. 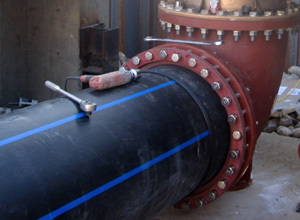 The existing intake structure was modified to accept the piping from the T-screen in order to reuse the piping from the intake to the wetwell of the pumping facility. Pump station improvements included removal of the existing pump building and construction of a new station at a height above the 500 year flood elevation, located over the existing wetwell. 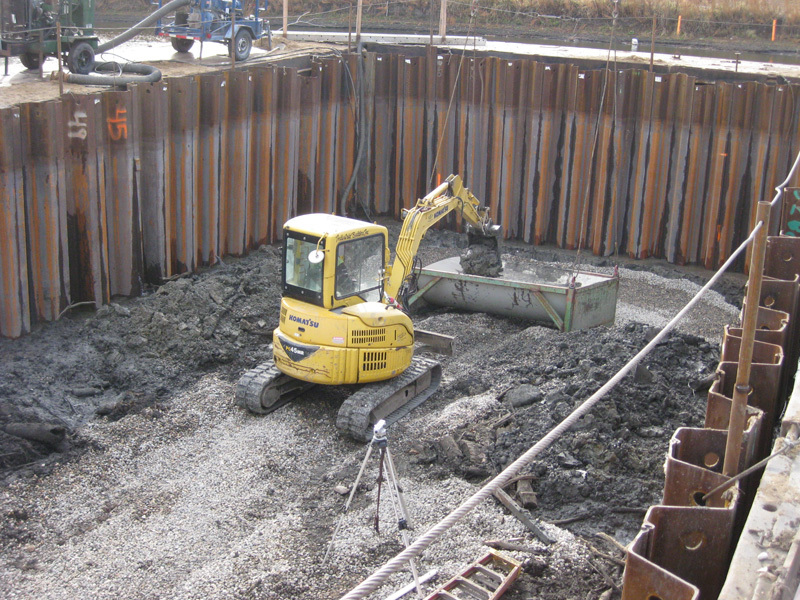 The foundations for the old pump station and wetwell were not capable of supporting the new pump building and additional fill could not be placed on the site without causing slope stability problems. 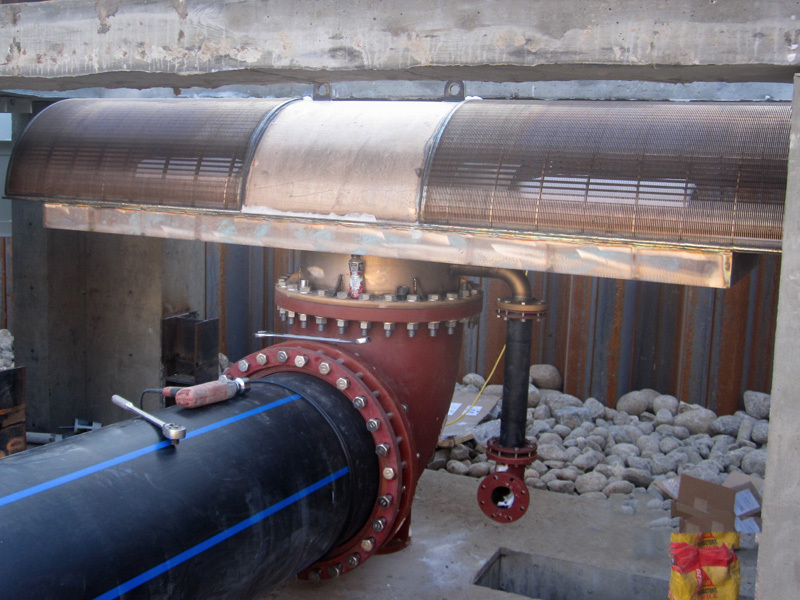 To combat both of these problems, the Structural Engineering Group developed a foundation and floor slab design for the new pump station that would not add load to existing foundation or require additional fill to be placed at the site. The footprint for the new pump station is larger than the original wetwell. 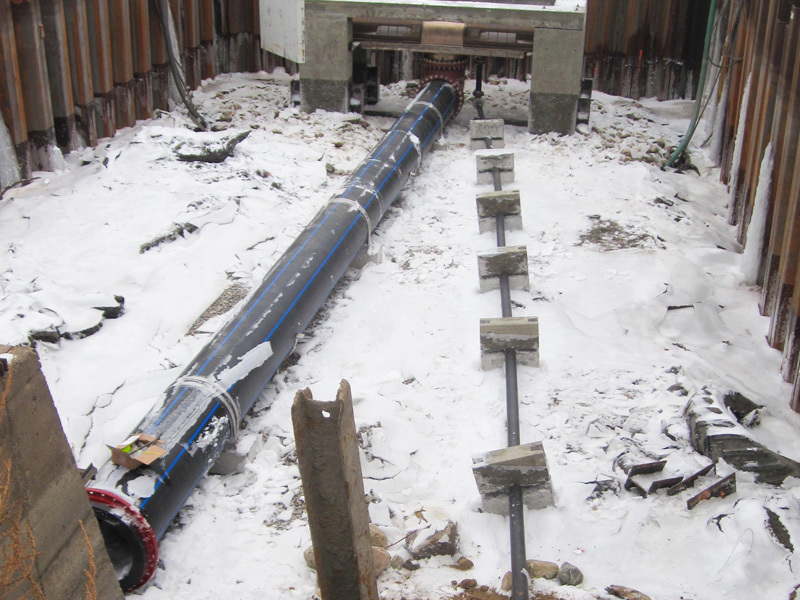 This allowed us to support the new pump station on a deep driven steel pile foundation system. 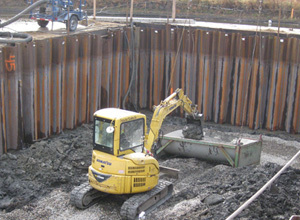 To transfer the loads from the pump station to the piling, reinforced concrete grade beams span over the existing wetwell. 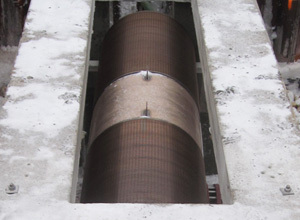 A structural concrete floor slab was constructed over the grade beams to support the three vertical turbine pumps capable of pumping 6.2 million gallons per day (MGD) with variable frequency drives. 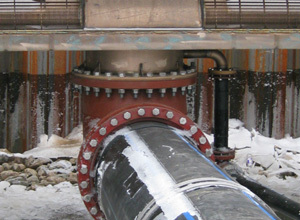 The slab design included provisions for a fourth vertical turbine pump. In order to provide access to the pump floor, the floor slab cantilevers outside of the pump house structure to form a walkway along one wall of the pump station and an aluminum stair system allows access from this walkway to an existing paved parking area outside the pump station. The pump station is located in a residential area of Moorhead. 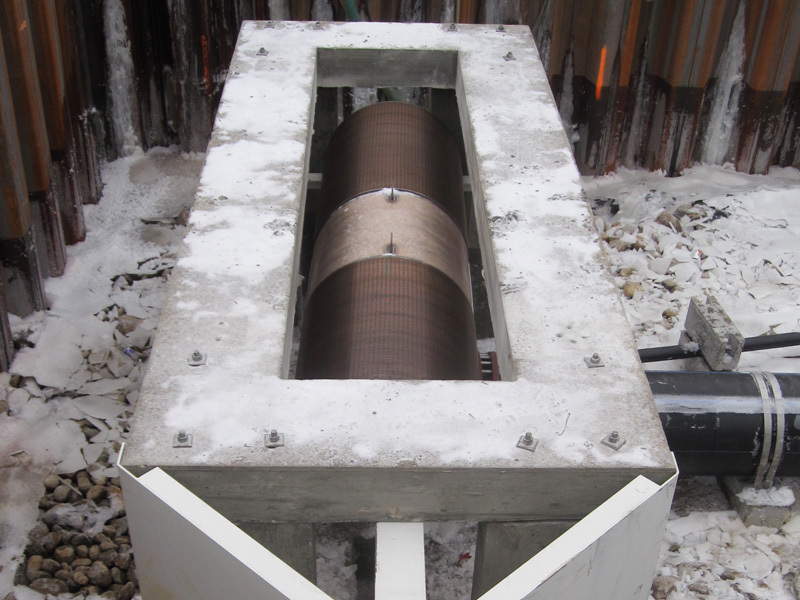 To maintain a residential look and provide durable and resilient finishes, the exterior walls of the pump station are concrete masonry unit (CMU) with face brick. The roof structure is framed with steel joists and steel beams that are supported on the CMU walls. 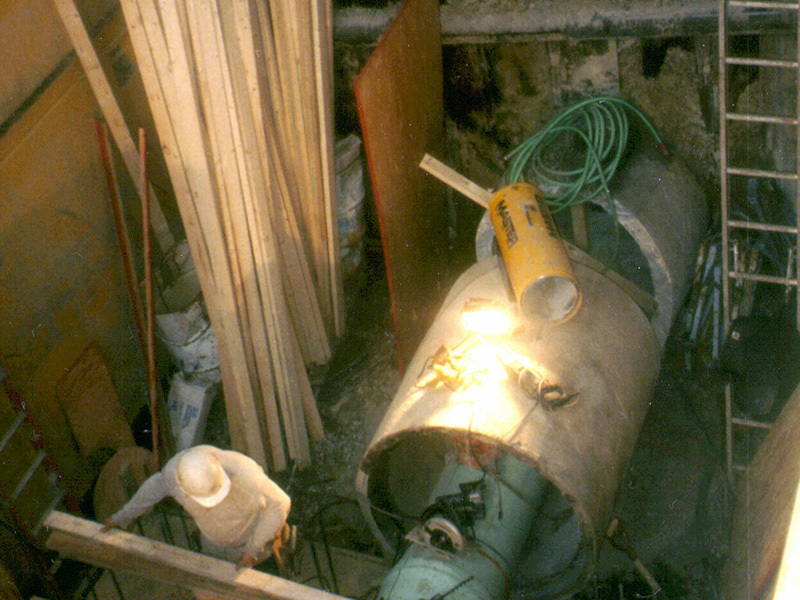 Two steel beams within the roof structure are sized for lifting the vertical turbine pumps when performing maintenance. 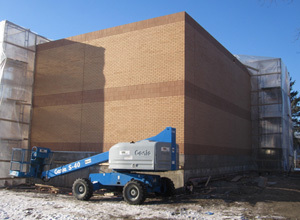 The roof structure also includes fall protection support in the event that Moorhead Public Service personnel are required to enter the wetwell. This project was completed in 2013. 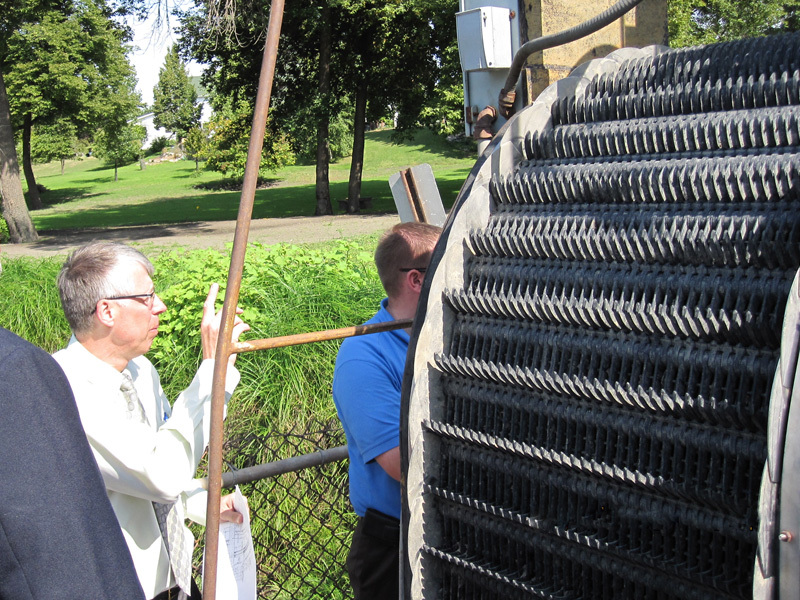 Moorhead Public Service’s new raw water intake and pump station will remain functional and safe during flood events.